Looking for a ranch style home with a pond? That includes a great deck to enjoy tranquility? Schedule your tour today of this 3 bedroom, 1 and a half bath home situated off of US 6. 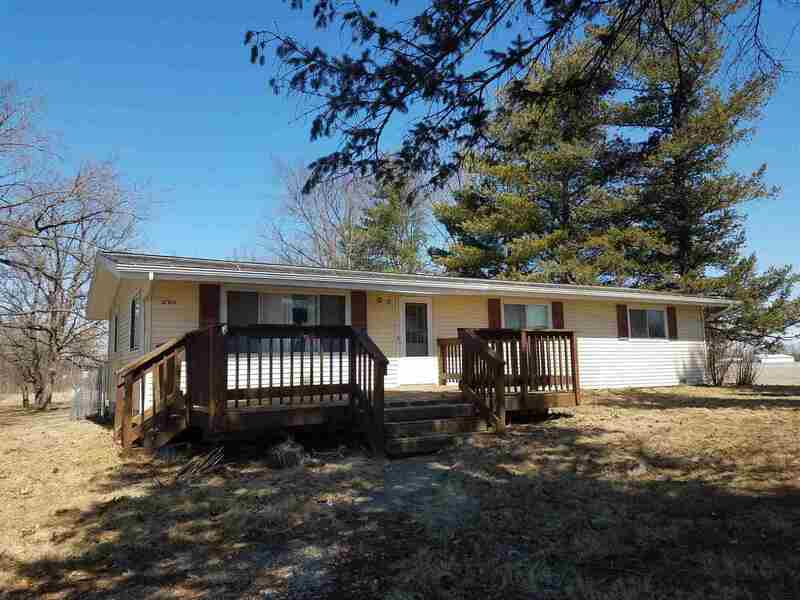 With a little over 3.5 acres, the house has a beautiful wooded lot. Unfinished, full basement could be finished to add additional square footage. New septic to be included with the property. Main floor laundry. Seller offering $3, 000 allowance towards fencing or landscaping. School District: Union-North United School Corp.